The Sturmpanzer IV (Brummbär) carried the 150mm StuH43 gun on a standard Panzer IV chassis. It was developed by Alkett, who designed the superstructure, while Krupp redesigned the Panzer IV chassis. 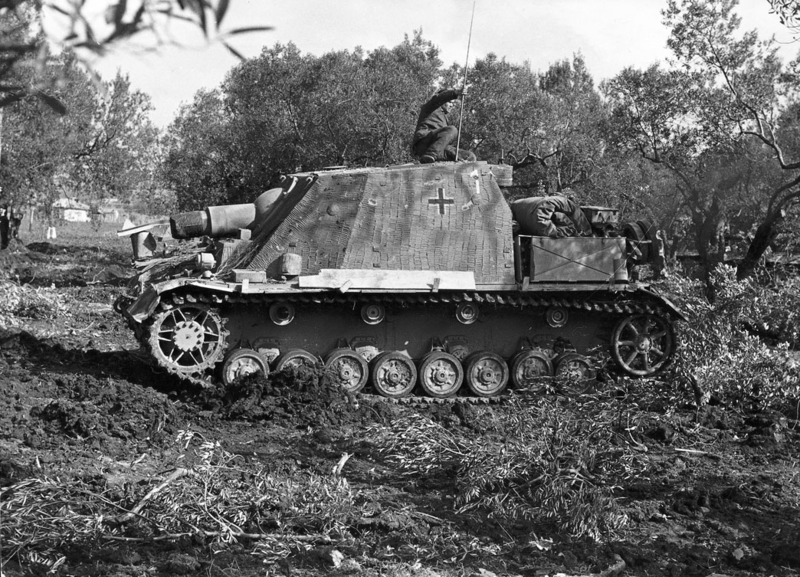 Hitler, thinking they could be more potent than the StuG III, ordered the Brummbär into production at the end of 1942. Initial production began in April 1943, with a first batch of 60 being completed by May (this series had an armour plate 50mm [1.96in] thick bolted on to the basic 50mm- [1.96in-] thick hull front). These vehicles had sliding-shutter visors for the driver, similar to those mounted on the Tiger I. However, in the later vehicles the driver was provided with a periscope. Full-scale production began in November 1943 and continued until the end of World War II. By that time 298 had been built. The final version of the vehicle had a redesigned superstructure which incorporated a ball-mounted machine gun in the top left-hand corner of the front plate, plus a cupola for the commander. The first Brummbärs were issued to Sturmpanzer Abteilung 216 just prior to the Kursk Offensive in July 1943. A further three Sturmpanzer Abteilungs were raised (217, 218 and 219), and all of them saw service on the Eastern Front, as well as in the West and Italy.